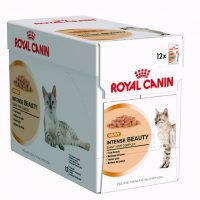 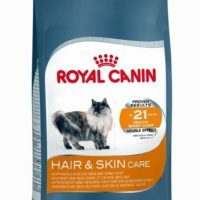 This dry cat food from royal canin has been tailor-made for Pure Breed cats. 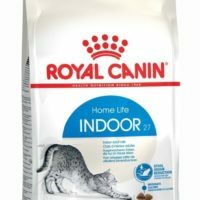 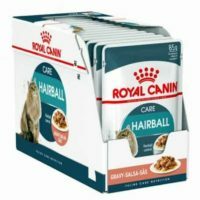 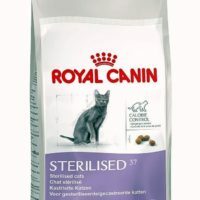 This presents an exclusive kibble for each breed: a concentration of scientific and nutritional expertise born from the unique knowledge of Royal Canin combined with the practical experience of Breeders. 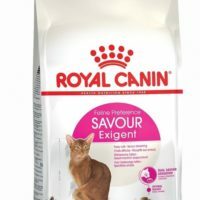 1)Exclusive kibble shape adapted for flat, short jaw of cats. 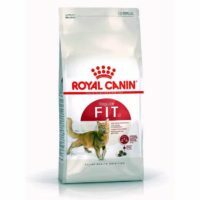 2)Supports healthy digestion and nutrients. 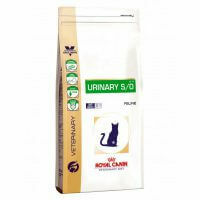 3)Supports immune system health of cat. 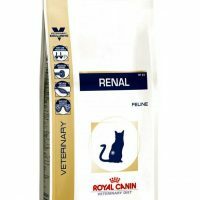 4)100% Complete and Balanced Nutrition for your cat. 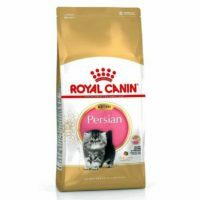 Persian Adult is designed exclusively for pure breed Persian Cats above 12months in age. 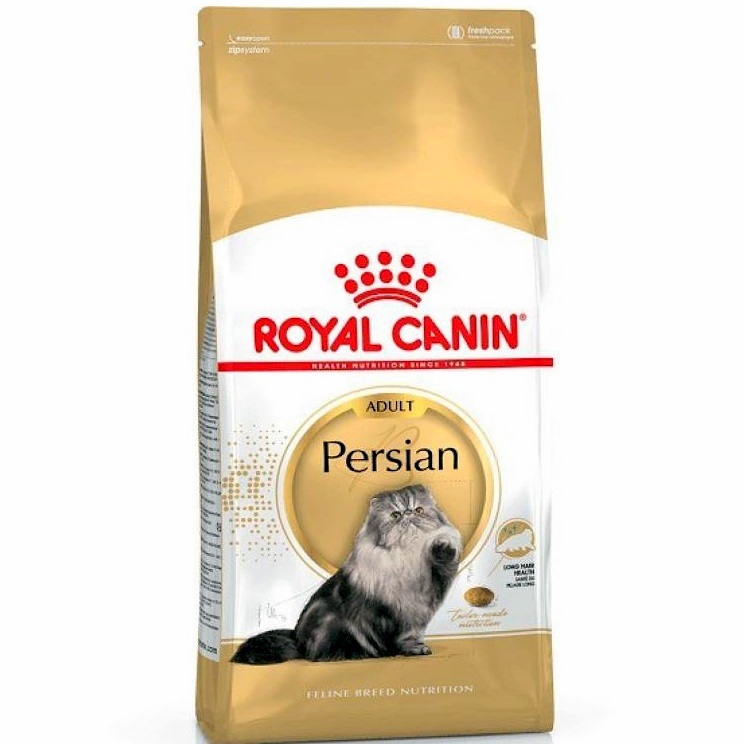 The kibble shape is exclusively designed to make chewing easier for your persian cat. 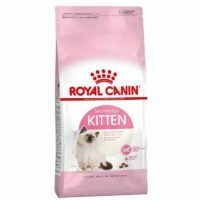 Chicken by-product meal, brewers rice, chicken fat, corn, wheat gluten, natural flavors, pea fiber, grain distillers dried yeast, dried plain beet pulp, fish oil, sodium silico aluminate, vegetable oil, salt, potassium chloride, psyllium seed husk, L-lysine, fructooligosaccharides, calcium carbonate, taurine, hydrolyzed yeast, choline chloride, vitamins [DL-alpha tocopherol acetate (source of vitamin E), inositol, niacin supplement, L-ascorbyl-2-polyphosphate (source of vitamin C), D-calcium pantothenate, biotin, pyridoxine hydrochloride (vitamin B6), riboflavin supplement, thiamine mononitrate (vitamin B1), vitamin A acetate, folic acid, vitamin B12 supplement, vitamin D3 supplement], DL-methionine, magnesium oxide, marigold extract (Tagetes erecta L.), trace minerals (zinc proteinate, zinc oxide, ferrous sulfate, manganese proteinate, manganous oxide, copper sulfate, calcium iodate, sodium selenite, copper proteinate), rosemary extract, preserved with mixed tocopherols and citric acid. 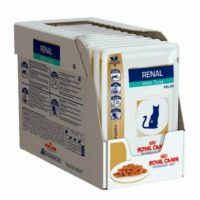 The Persian Cat food is formulated to meet the nutritional Cat Food Nutrient Profiles for growth, gestation and lactation. 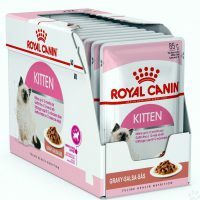 The packet comes with specilized zip-lock for easier storage.